Most of us dutifully place the garbage bag outside the front door every morning or night and rush back in to line the dustbin with a fresh plastic bag. With this, we think we have done our job with waste disposal and the rest is a headache better dealt by the local municipality. Later in the day, when we see overflowing bins, garbage strewn all over the roads and pavements, we criticise the corrupt bureaucracy without losing an instant. It doesn’t even cross our minds that we too are to be blamed for the sordid state of affairs. Digest this: According to a study by TERI carried out in April 2009, Bangalore generates 2,500- 3,500 tonnes of solid waste every day, of which residential waste is 363 gm per capita per day. tBBMP spends at least Rs 10 crore a month on garbage disposal, outsourcing nearly two-thirds of its services of collecting and transporting the garbage using at least 400 trucks. The point is, we can either sit back and continue to fault-find, or take a moment to reflect on the amount of waste we generate and understand how better it can be disposed. Waste can broadly be classified into wet and dry. While wet waste is typically the waste from the kitchen, dry waste includes fused bulbs, blades, old shoes, tooth paste tubes, glassware, empty batteries, etc. Such inorganic waste should be segregated first into recyclable and non-recyclable materials and then disposed appropriately. Disposal of any waste basically involves controlling the waste generated at source, segregation at source, collection and transportation system, and the final disposal. Here are some guidelines on what to do with different kinds of waste. Remember, it is easier if you spare a moment to understand what a product is made of and how it should be disposed while buying it! 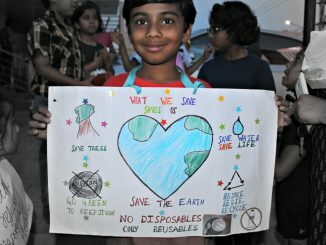 Here are some frequently asked questions on how you can reduce, reuse and recycle. What can be recycled? About Plastics. What cannot be recycled? Resources: where to donate? who to call for recycling? What is trash for you can be treasure for someone else. Cloth: Development organisations, orphanages, old-age homes often take clothes that have been used but are in good condition. NGO Goonj takes even torn clothes to make cloth sanitary napkins. But make sure that they are clean and cut neatly into large usable pieces. Toys: Toybank is an NGO that takes toys in good condition and gifts them to underprivileged children and school libraries. Books: You could either donate them to various shelters/old age homes in your locality or sell them to second-hand bookstores like Blossoms or Bookworm on Church Street at reduced rates. Electronic items: Should be in good condition. They can be of use in schools, old age homes etc. Post your items here (Bangalore reuse group). Glass bottles: Glass must be reused to prevent it from ending up in landfills. Barring beer and soft drink bottles, the rest can be reused at home. You could store spices, pickles, etc., since glass does not react with the food items as plastic does. They could also house your indoor plants. Paper: Blank-on-one-side papers like discarded printouts can be reused, bound as notepads or donated again to organisations (see table). Small cardboard boxes (biscuits, tea, cereal, etc) can be reused for craft activities with children. If you have no use for them, find local schools that would be able to put it to good use. Recycling these boxes, especially if they are laminated, is a little more difficult since it contains plastic. Aluminium drink cans are the world’s most recycled packaging containers. It takes the same amount of energy for making one such new can and recycling 20 old cans. If you recycle 1 kg of aluminium, it saves 8kgs of bauxite, 4kgs of chemical products, and 14kw of electricity. The energy saved by recycling one aluminium can is enough to run a television for three hours. There are seven numbers one can find on plastic containers, indicating seven different types of plastics available in the market. The number is a resin identification code associated with the type of plastic used in the container. Some plastics are more eco-friendly, some less; some are easier to recycle and not others. In most cases, it is finally about the choice you make. For instance, pause for a moment before you pour tea in yet another plastic cup. Instead carry your own little mug along. Make it a point to use cloth handkerchiefs over paper tissues, cloth nappies over diapers, washable cups instead of disposables. Your local recycler or Raddiwala will pay you for easy-to-recycle waste, including. Metals: Iron, aluminium, brass, and copper items. Paper: Old newspapers, magazines, and corrugated cardboard boxes. Plastic: Used milk packets and some plastic bottles. Aluminium: Coke/Pepsi/ThumsUp lovers – find a way to collect those used cans from your immediate group – at home, office, or other places – and then send it back to their local office (see table). Aluminium foil used for packing food, cigarette and tobacco foil are accepted by Samarthanam which sends it for recycling. e-Waste: In India, only 3 per cent of the total 3,80,000 tonnes of e-waste makes it to the authorised recycler facilities (source: Greenpeace). Our city alone is estimated to generate 8,000 tonnes of e-waste annually (source: E-Parisaraa). Look at the resource table for details on where to dispose your e-waste. Building Material: The Building Materials and Technology Promotion Council has a clear mandate to develop cost-effective, environment-friendly and sustainable building material. While we still have a long way to go with regard to disposal and management of waste from building material, perhaps it would be good to learn from a joint initiative of an NGO in Maharashtra -YUVA – and CIDCO – that converts debris to building material. We have got used to the ‘convenience of plastics’ and are unlikely to give it up very easily. It would be good for shoppers and shops to adopt alternatives. Covers or bags made out of old newspapers could be one such option. Most families throw away about 40kg of plastic per year, which could otherwise be recycled. Of the daily solid waste generated by Bangalore city, 40 tonnes is said to be plastic waste. It is not enough if the bags break down or degrade into small pieces invisible to the naked eye since degraded pieces of plastic that remain in the environment for long can be particularly dangerous because they tend to attract and hold toxic residues like DDT . If these fragments migrate to the water table, they can end up transporting concentrated forms of toxins to other environments. Biodegradable plastic covers made out of biopolymer alternatives can be recycled, are not toxic to produce and can be composted if needed. The costs of bioplastics is said to be about 10-15% more than conventional plastics, because of the high R&D costs attached to it. Mumbai-based Earthsoul India manufacture bio-polymers and claim to be the manufacturers of India’s first 100 per cent biodegradable and compostable plastic carrier bag using corn starch. There are different kinds of ‘bio-degradable’ bags and the true test of biodegradability is to see if the bags are eventually consumed by microbial activity. The harmful effects of plastic carry bags cannot be overemphasised. You can even stop lining the dustbins with plastic bags, if wet waste can be composted separately and it is possible to directly drop the dry waste in the garbage bin. That way you will also stop hoarding plastic bags from shops. Some part of the inorganic waste is neither degradable nor recyclable and therefore is best avoided. A tough call, we know. So try to find alternatives. • Packaged biscuits, chips, chocolate wrappers, and other products with a joint in the centre of the plastic wrapping. Try to choose the cardboard pack version of the same product where possible. You could also write to the companies informing them of your choice. • Blister packs for medicines. It is difficult to separate the plastic and foil, so recycling blister packs is an issue. • Tetra Pak. Though there are companies making plates/ glasses and other artificacts out of this, we need to be aware that this is only a temporary solution since tetra pak is not made from paper alone but comprises about 75 per cent paper, 20 per cent plastic (polyethylene) and 5 per cent aluminium foil (for long-life products). Try to avoid products packaged in these and look for more natural alternatives for juice/ milk, etc. Contact the local Tetra Pak office or Saahas to find the nearest collection centre. Good to know : Time taken to degrade. Organic waste constitutes a bulk of our household waste – anywhere between 50-60 per cent of the waste generated in our homes. It includes all our kitchen waste and garden waste such as tea leaves, egg shells, fruit and vegetable peels, cooked food scraps, meat and bones, dried leaves, plant clippings, saw dust, grass, etc. Such waste is completely biodegradable (it can be broken down by microorganisms) and is best disposed through composting. Organic waste is a very valuable resource that can be used for improving the soil structure and quality. By recycling organic waste, we decrease the soil’s need for water and fertiliser since we return the nutrients once in the living material back to the soil to help new plants grow. Perhaps one of our biggest contributions by composting organic waste is to reduce the waste that goes to the landfills. In doing so, we can avoid the production of methane that otherwise occurs from anaerobic decomposition of waste at the landfills. There are a few options for making and containing your compost. If you have a patch of land at your place, you can dig a pit and start composting right there. To make a compost pit, select a cool, shaded corner of the garden dig a pit, around 3 feet deep. This depth is convenient for aerobic composting as the compost has to be turned at regular intervals in this process. Preferably the pit should be lined with granite or brick to prevent nitrite pollution of the subsoil water, which is known to be highly toxic. Each time organic matter is added to the pit it should be covered with a layer of dried leaves or a thin layer of soil which allows air to enter the pit thereby preventing bad odour. At the end of 45 days, the rich pure organic matter is ready to be used. If you live in an apartment, you can use terracotta composters from Daily Dump that are aimed at supporting urban dwellers to compost at home either individually or as a group of households. These composters are modular units and are convenient to use and store your compost. As of October 2009, customers of Daily Dump in Bangalore have helped keep at least 3500 kg of organic waste out of landfills every day. You could also be one of them – See table for contact details. You could also do vermicomposting or Worm composting, but be aware that it requires a little more care. Once you fill your pit or bin with soil and organic matter (kitchen waste or vegetable peelings). You can release worms adapted to living in decomposing organic materials rather than in the soil. (Two species are Eisenia foetida and Lumbricus rubellus). Ensure that bin is always moist, but don’t add too much water. Adding water in large quantities will fill the pores built by the worms with water and disturb their colony. You can also make a hole in the bin for purging out excess water. The compost will be ready in a few weeks. While harvesting the compost, take care so that you don’t hurt the worms. You could put them back for the next lot of compost. If you happen to live in Malleswaram and are looking for support, you could get in touch with Dr Meenakshi Bharat, Secretary of Malleswaram Swabhimana Initiative (MSI ) which meets monthly on the 1st Tuesday at Hymamshu school, 4th main, 15 cross-17th Cross. More information is available with Daily Dump or Saahas. Srinivas, the founder of the Zero Waste Management model, Vellore believes that if waste is handled within 12 hours, its disposal does not pose a problem. For instance, idli/sambar leftovers need not be thrown in the dustbin. Instead, this can be fed to cattle. Similarly, with vegetable peels and other pieces after cutting for cooking. Food served at large events and weddings can also be disposed similarly. The conversion of this food to dung is much quicker and more useful too. Peels of citrus fruits such as lime and sweetlime can be sun-dried and powdered. This can then be mixed with shikakai powder and ash to make a completely natural dish-washing powder. Excess quantities of citrus fruits in compost would render it acidic and must be balanced by adding baking soda regularly. Egg shells when washed, dried and powdered can be directly fed to plants as it serves as a good source of natural Calcium. For more names of organisations requiring donations of clothes, books and toys see Sutradhar’s Online Child Resource Directory. Little did one realise that waste management meant to save the environment would upset the marital harmony in so many families. If you are part of a community that ensures that a bulk of the waste generated is recycled in the right manner, this is for you! Applications are open for the 2016 edition of the Recyclathon Awards. Thanks for this wonderful article Vinitha. I have recently started trying to recycle waste and was looking for some resources in Bangalore. Your article was very infomrative. I want to know whether plastic recycling of products like kurkure/chips pack and ubiquitous polythene bag really environment friendly? I mean, does not the recycling process create toxic wastes which may be dumped into environment like other things? it was wonderful to read your article on waste management. I am planing to set up a proper waste management facility at my office. we generate a lot of paper waste, plastic waste, e waste, cigerrete packs, wet waste as any typical office would. can you pls reccomend us how do we go about managing and recycling our waste properly. is there any collection agency who collects the different types of waste once seggerate it properly. do let us know your inputs and ideas for the same. thanks a lot. Our organization (www.jwalamukhi.org) tries to inculcate values of social awareness in children and motivate them to spread this message in their community. I am lookiong for ngos that we could work with in collecting re-cyclable solid waste from homes , especially where BBMP has not started yet. Can any one help me? k k plastics accepts all kinds of plastics. the word plastic is enough for them to accept stuff, even the kurkure packets, eclair wrappers, etc. they buy the plastic from you at rs 6 per kg. if you manage to collect 20 kgs of all sorts of plastics, they can even come and pick it up from your doorstep. thank you sejal, meera. the hope remains that more and more people realise its not too tedious to segregate waste at source and start doing it. Just wanted to add that KK Plastics (http://www.kkplasticroads.com) will accept all manner of plastics, and also all those foil chips packets. Thanks Vinita for this elaborate and insightful article!